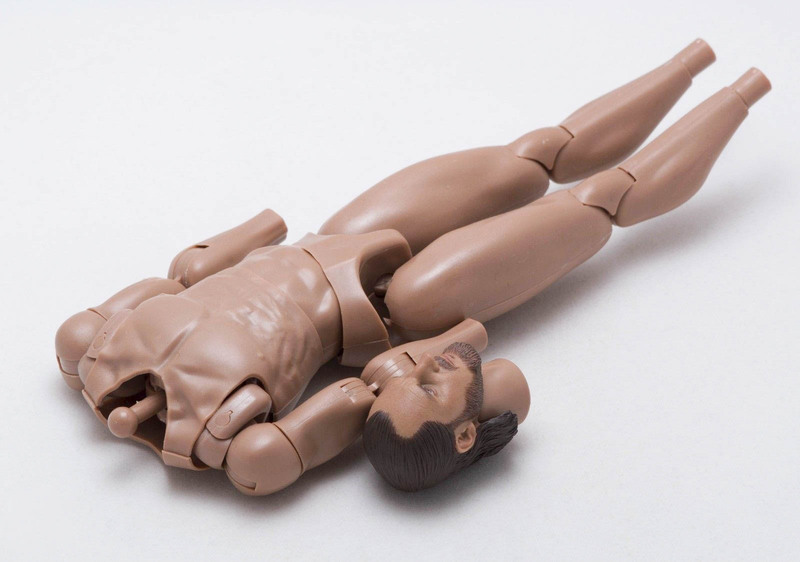 I’m in the midst of working on several figures and have run into a little bit of a problem. 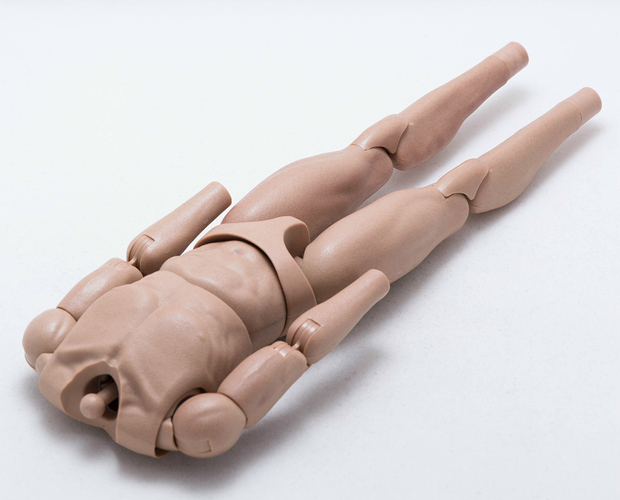 I’ve got several E&S bodies but they’re minus their ankle pegs. Does anyone know if DAM ankle pegs will fit these bodies? In my experience, yes. SS seems to be the outlier unfortunately. First Gen ES Body - If you have a very tight fitting pair of DAM pegs (the tolerances vary over the generations of the DAM body) they will fit but somewhat loosely. Second Gen ES Body - No go, will fit way too loose. ES bodies work best with their own pegs. Second gen body ankle pegs may have to be shaved a bit to fit on the first gen body as the ankle cups are more brittle on the first gen. I’ve heard that COO ankle pegs are oversized relative to other brands, perhaps someone with experience on that body can confirm. Good intel Adam. Don’t mean to hijack the thread but are you aware of any male ankle pegs (DAM, E&S or any other) that may fit female bodies? I recently bought a pair of female boots thinking they were made for feet but when they arrived, no joy…they’re made for pegs. Female ankle pegs seem to be quite rare, and from what I’ve seen most of the newer female bodies have no feet, just integral pegs. Any information on these will be much appreciated. I only have one of the older Very Cool female bodies (from the acu shooter) to test, but that one fits the Easy Simple second gen ankle pegs. DAM ones fit too loose to use. IIRC it was one of the few that had ankle joints and they usually had an assortment of various peg connectors when sold as carded sets.They were half decent bodies, only had two outright duds out of 50+. 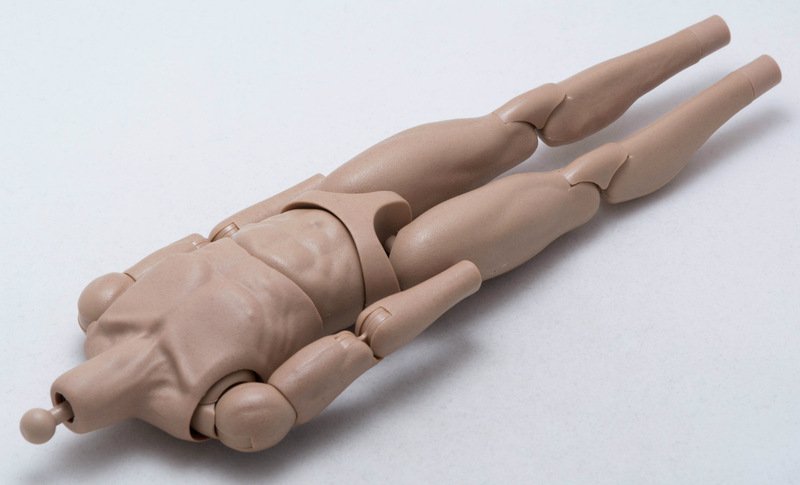 Like all the rubberized torso bodies they had there imperfections here and there though. Thanks Adam, I’m a little worried now as I’m not 100% sure whether the bodies are gen1 or gen2 so keep your fingers crossed that the pegs fit. I’ll post an update once I get them and test them out. Thank you C. As I mentioned in my reply to Adams response I’m a little worried whether the pegs will fit or not the bodies (both are enroute at the moment). Is there any list out there that would explain which figure bodies are gen1 vs gen2? Here are some pics below to help you differentiate. The Gen 1 body is a wider/stockier body and is all plastic. The Gen 2 body has a couple of variants (neck style) and is distinguished by a rubberized upper torso and slimmer profile. Thanks for the breakdown on body types. It’s interesting though in your second set of pics the gen 2 bodies with the rubberized upper torso that’s almost a DAM body/SS style neck/head mount. Are you telling me that they went away from the style in the gen 1 (much like a DID) body type to that of the SS/DAM one? If that’s the case that makes head swapping a bit harder or easier I guess depending on how many heads you’ve got (of SS/DAM vs E&S) don’t you think? 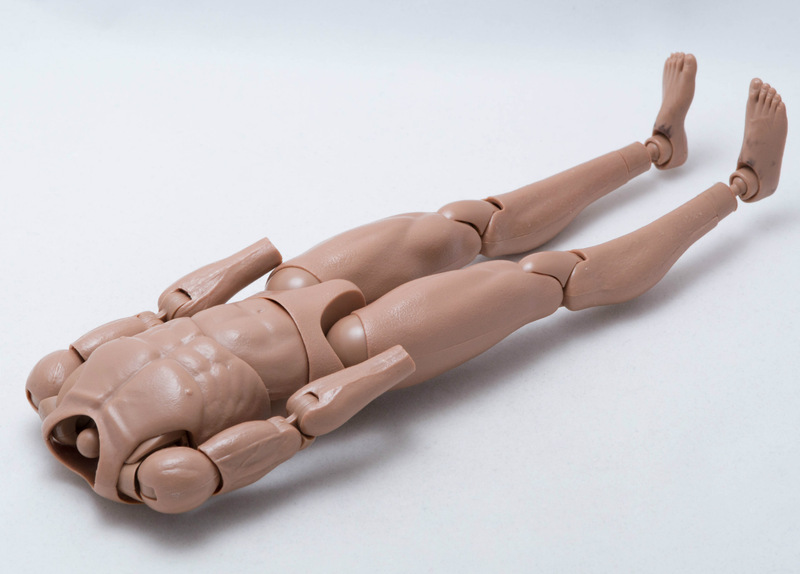 I just checked the body types they appear to be Gen 1 figure bodies, now I just need to test the ankle pegs. Wish me luck. 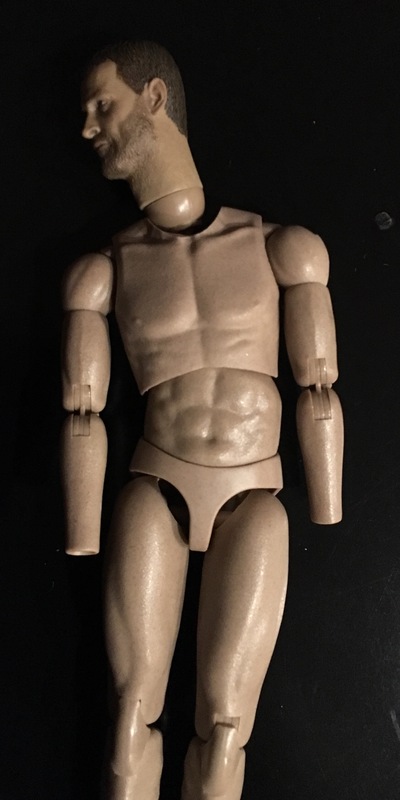 The Gen1 body wasn’t as well received as it was quite a broad body so clothing from the earlier figures tends to be quite baggy and is oversized when fitted to DAM/SS bodies. The tolerances varied quite a bit on the leg joints as well. 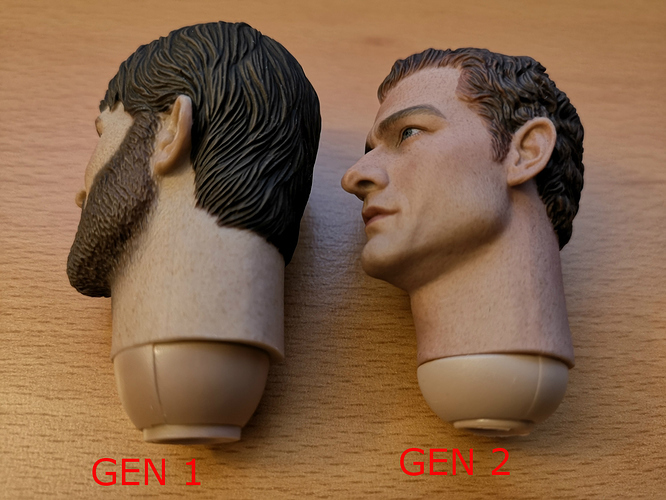 With the gen2 body they offer it in the two variations shown. The style with the older BBI/Dragon/DID style mounting system (meant for head sculpts with the elongated neck) is difficult to use with other brands of head sculpts as that peg on the body doesn’t match the sizing of other brands. 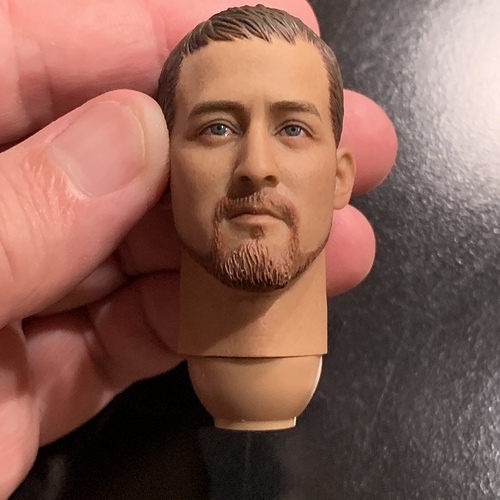 The peg’s diameter on the body is somewhere between the HT/DAM sizing and the DID sizing, so it is either too large to allow the head to fit or the head fits too loosely. You can MacGyver a solution but there are better body options. 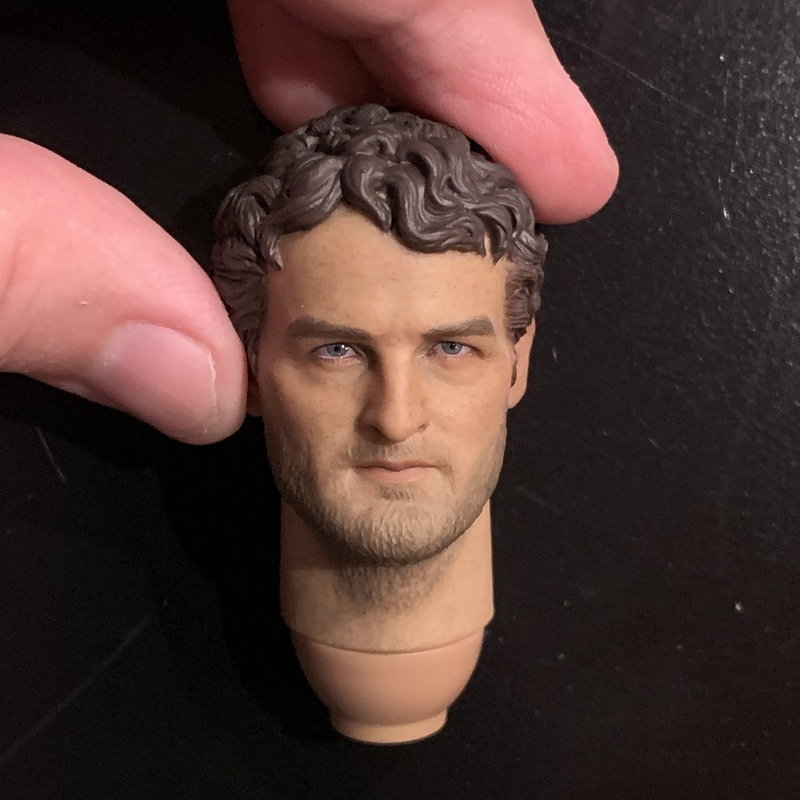 You can remove the neck connector at the bottom of the ES Gen2 head and swap it for a HT compatible one so you can use the ES head on a different body. 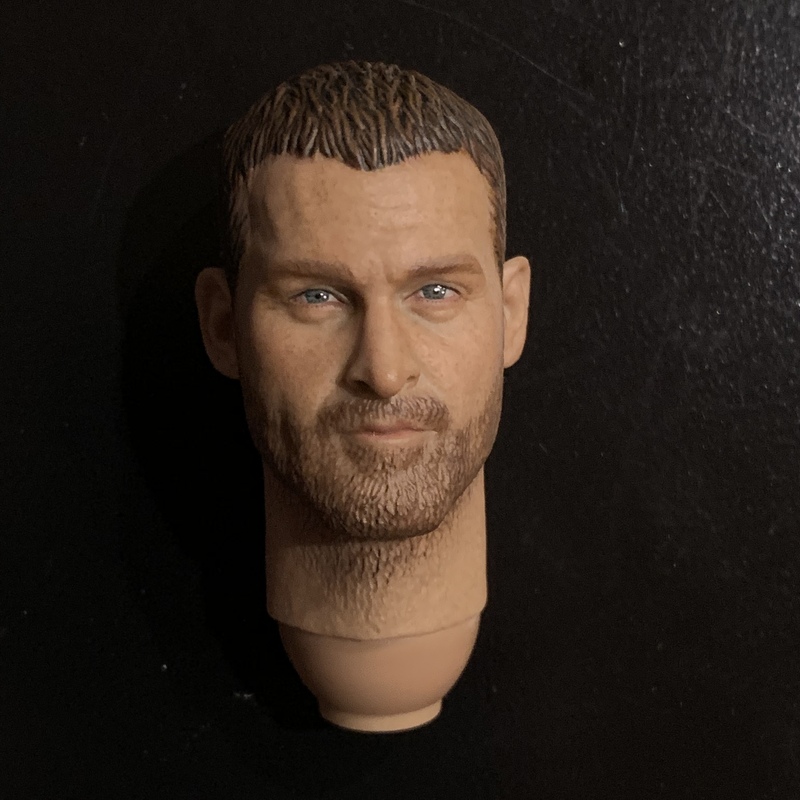 Unfortunately that makes the neck even longer then (the ES neck connector at the bottom of the head is quite short like DIDs) and most people already think their heads have a bit of the giraffe syndrome. The second Gen2 style with the elongated neck on the body (like SS/DAM) has a ball end that is also sized differently. Going off memory (I’m out of them at the moment) the diameter is larger than other brands. It’s relative easy to adapt the ES Gen2 heads to another brand of body, but not vice versa. If the neck pegs (and ankle pegs) for the Gen2 bodies were retooled and made compatible with other brands it would probably help them sell better which would lead to more orders for Easy Simple. In particular the unique sizing of the ankle pegs rules out an easy swap over to cloth boots unless you can find Ace’s old rubberized feet. This would also afford them a chance to fix some of the other issues with the body. 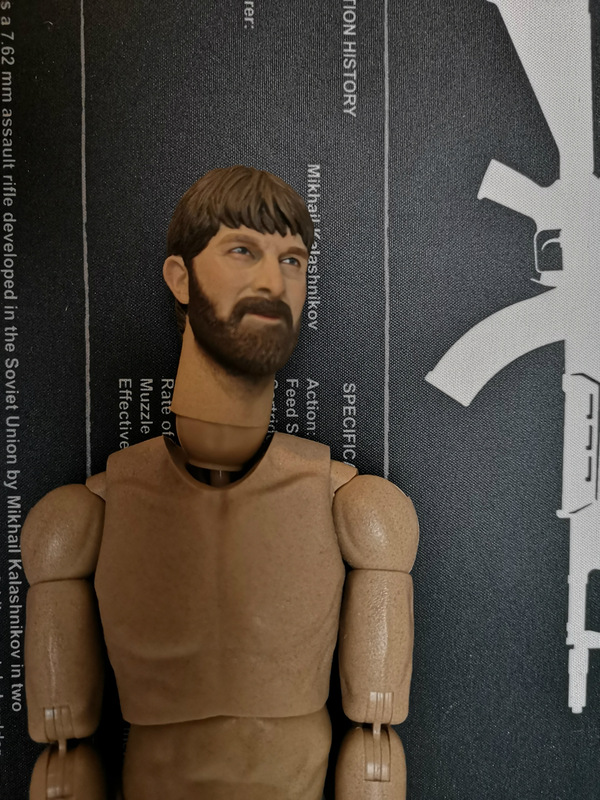 Most brands have gone through multiple generations of bodies (Soldier Story is on their 5th or 6th now) so nothing unusual here and it is not unexpected that different brands bits don’t play well together. It’s a step in the right direction and with a few tweaks it could be a solid option. Well I got home and found the bodies and the heads I ordered waiting for me in my office…now here’s the punchline… the upper torsos on TWO out of the THREE purchased flop around with the slightest of movement on my part. And that neck “giraffe” factor…I’ve never been a big fan of the DID/E&S style of neck joint and for good reason. Because only ONE out of the FOUR heads I purchased doesn’t flop around like a rag doll as badly as the rest on the bodies purchased. . I’d take BBI, SS, Dragon, or even TC over what E&S has delivered with these bodies of there’s. I didn’t buy them directly from E&S but if I had been the retailer I certainly would have tried to send them back to them as these figures are clearly inferior to anything else I’ve in my collection. There’s no way, short of major surgery on them, where they would be of any use to me with the uniforms I’ve spent good money on to put them in. So friggin’ frustrated right now. Any suggestions? the upper torsos on TWO out of the THREE purchased flop around with the slightest of movement on my part. The upper torso tension can usually be fixed by removing the two plugs from the back of the lower abdomen and tightening the screws. They use a softer plastic so the screws may come loose in transit. The two lower abdomen halves compress together to hold the peg that connects the lower torso to the upper torso, hence the fix. 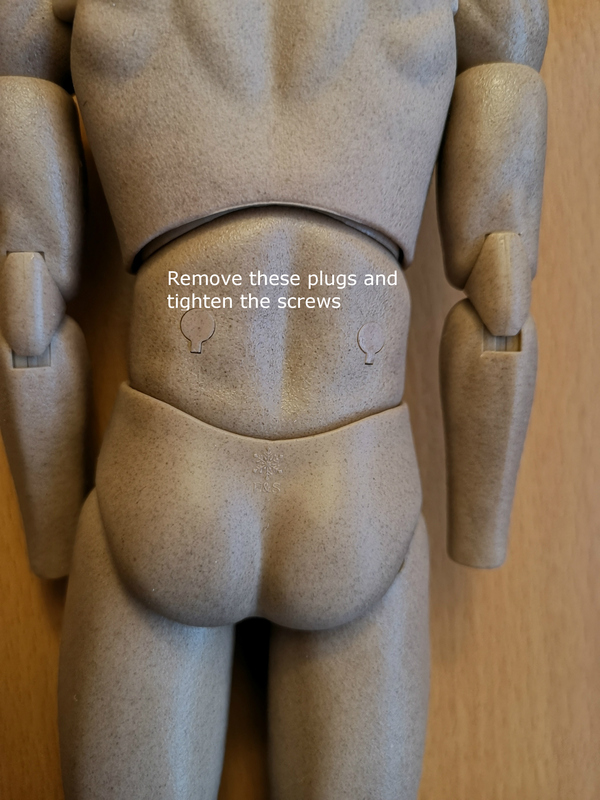 Just be careful not to over-tighten as you can strip the plastic threads (like most bodies the screws are self tapping the first time they are inserted). If the screws back out after tightening again you can put a tiny dab of CA glue on the screw threads prior to screwing them in. You just need them Ikea tight if you know what I mean. For the heads being loose I would gather only 1 of 4 is a gen 2 ES head? 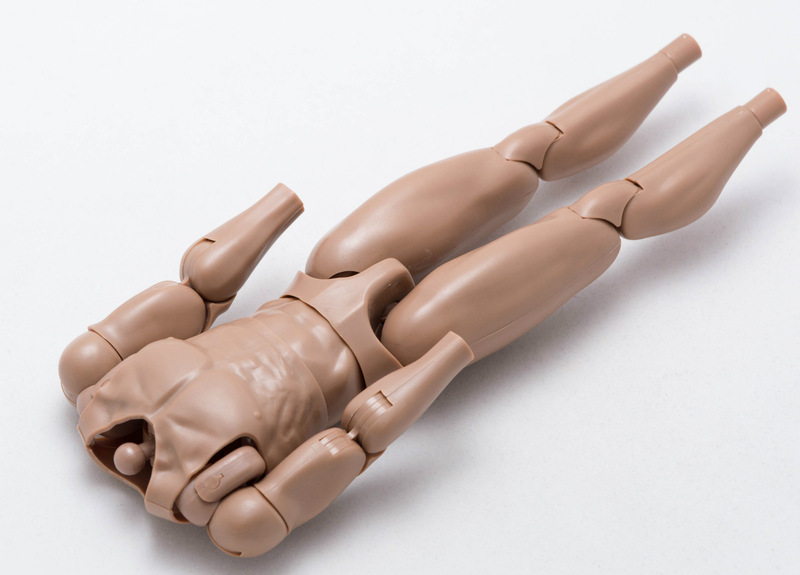 The flop is usually caused by the mismatch in diameter between the silicone plug at the bottom of the head mated to the smaller diameter neck peg on the body. The tension between the two is what keeps the head from moving around normally. Try putting a bit of blu-tack or putty on the neck peg before putting on the head and see if the extra material helps make a more solid connection. 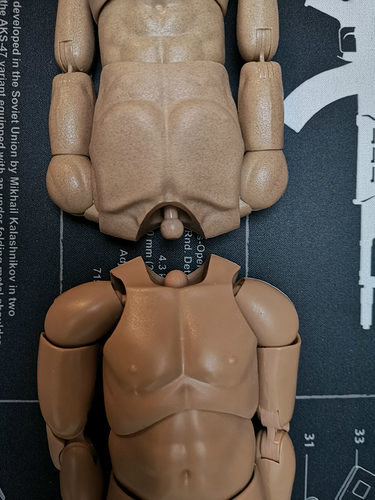 Here is a comparison of the two head styles so you can identify which is which. 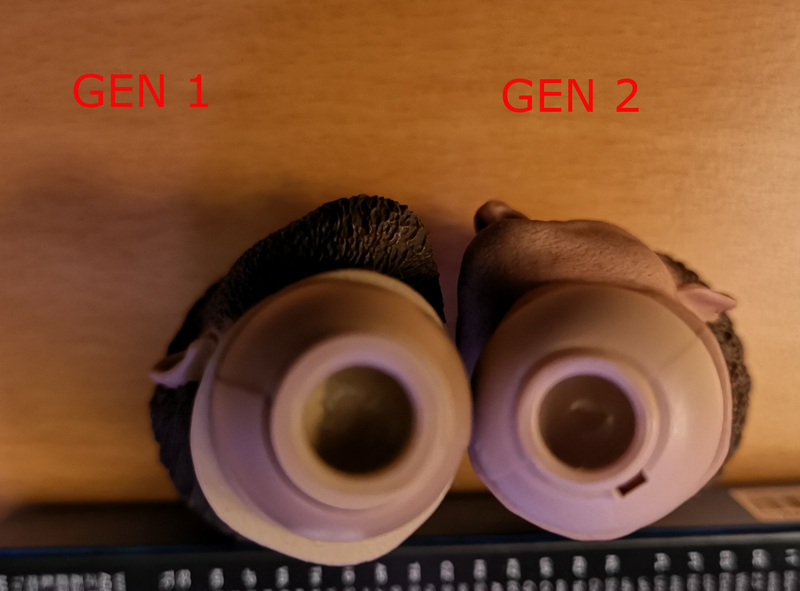 As you can see the gen 1 head’s neck connector is both taller as well as has a wider diameter opening on the plug at the bottom of the head. Will the new (78056) DAM heads without neck fit the SS2.0/2.5 body neck pegs? 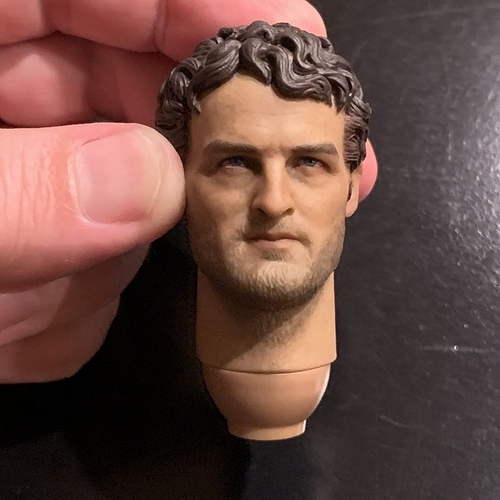 Thanks Adam for the suggestions on tightening the “torso flop”, I’ll collect a few pics of the heads and [more importantly] the neck posts, to upload and to compare with you in this thread later today/this evening if that’s ok with you. Peg sizes and lengths are different. You could try swapping out the silicone receiver plug in the head and peg with a Soldier Story one. 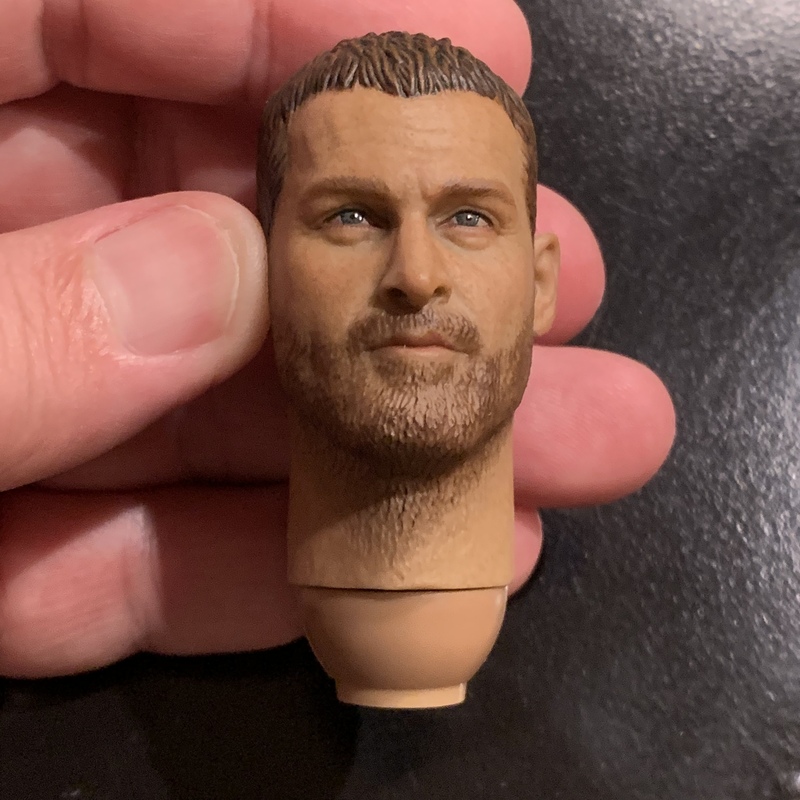 That might not result in the correct head placement as the depth of where the silicone receiver plug mounts in the head and also the opening diameter of the bottom of the head would play a role where the head would “sit” once attached. 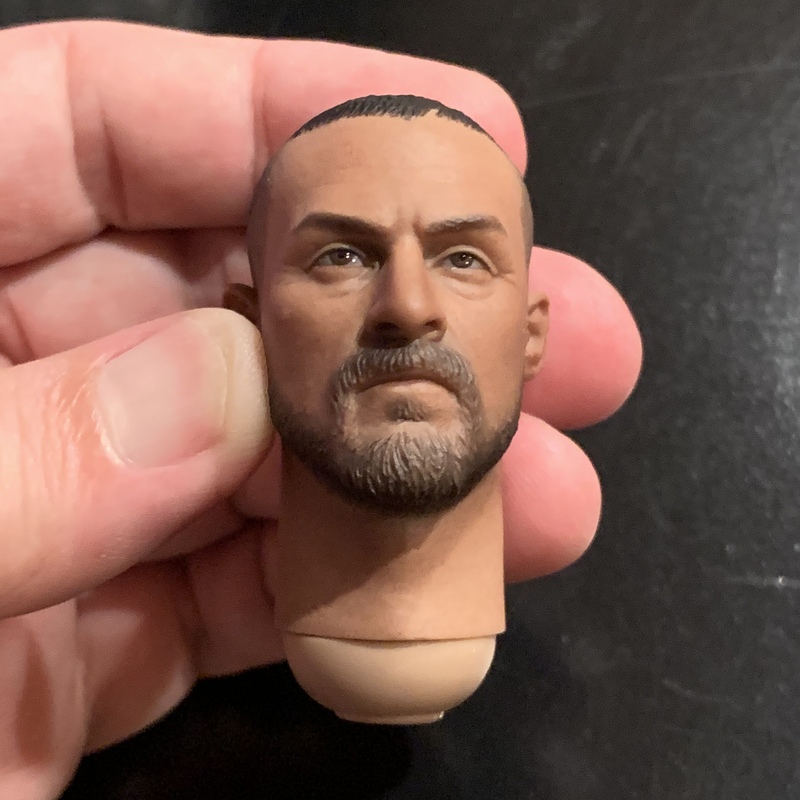 Usually with a mismatch like this the head sits too high up or too low down and it looks terrible. 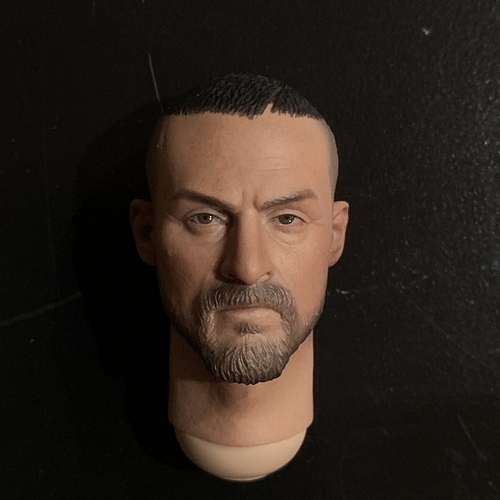 DAM’s body can be modified to accept a Hot Toys head by changing out the inner neck connector and peg on the body with a Hot Toys one so presumably you could do the reverse for another body option. I’ll collect a few pics of the heads and [more importantly] the neck posts, to upload and to compare with you in this thread later today/this evening if that’s ok with you. Sure thing, just ask if you need a bit of help. So based on what you provided I can see that I’ve been handed three gen1 neck posts and one gen2 (see images). The way one of the heads sits on the body I’d almost say it would be worth either trimming the neck or the neck post or doing something with both and maybe even the recessed mount in the torso. Any additional thoughts? Or could I try and purchase gen2 neck posts and swap the gen1’s out? That is correct, the first head (Reno from the RPIMA figure) is a Gen 2 head, the other 3 are Gen 1 heads. 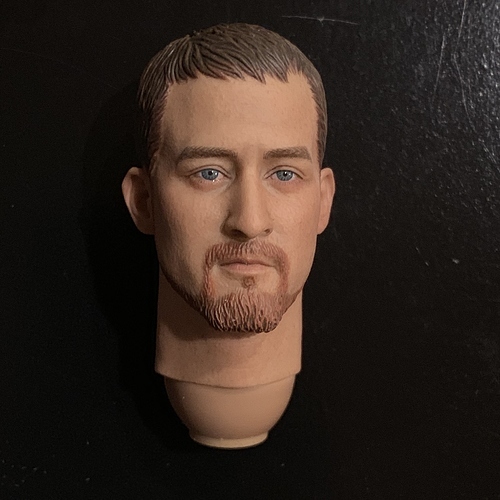 With the Gen 1 heads I usually use those on the older generation DAM body as the neck peg on those is recessed further down and the heads fit securely as both head and body follow the same sizing. If you look at the photos below you can see the difference in the mounting heights. You could try to cut the neck down to size to make up for the raised height but I would think it would be difficult to chase down the connector from the Gen 2 heads. 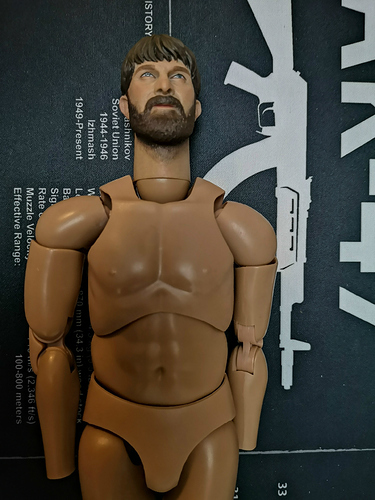 DAM also makes a skinnier body that can be used, but with that one the ES Gen 1 heads fit a bit tight horizontally, so you may have to file back the neck opening on the DAM body to allow the ES head to move around and the head positioning would be slightly higher than the other DAM body. I would not try to modify the peg in the body itself. The Gen 2 body is not the most robust when taking apart for reassembly due the mentioned issue regarding the softness of the plastic and the threads/screws. The neck peg in the body is a double ball end peg connector that mounts into a specific cavity so there isn’t much that can be modified there. On the plus side I imagine they’ll be releasing quite a few heads in the Gen 2 long neck style moving forwards and the bodies could be re-purposed there.